This site provides access to basic and advanced online resources for teaching the science and history of evolutionary biology. The resources are organized by topic: the mechanisms of evolution; the relevance of evolutionary theory to everyday life; lines of scientific evidence; and the history of ideas, research, and contributors in the study of evolution. 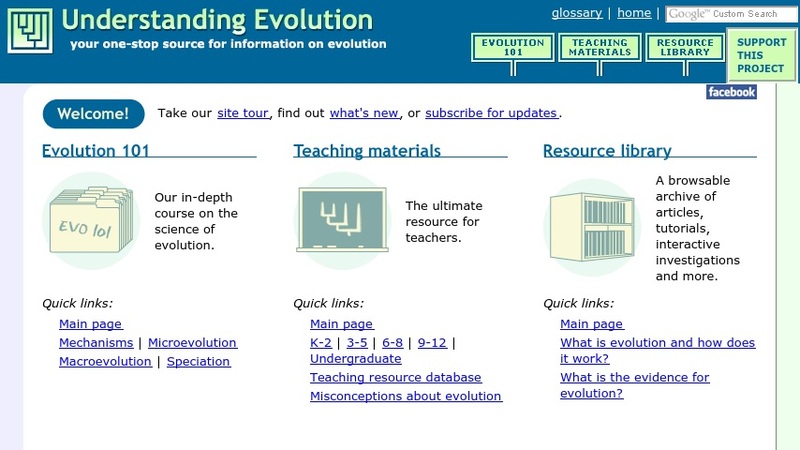 For teachers, there are searchable databases of lesson plans, activities, and conceptual frameworks on the history of life, evidence for evolution, mechanisms of evolution, and the nature of science. Other materials include links to news items and highlighted features on specific evolution topics.